gilhoolie has set up shop! I have finally set up my gilhoolie shop on folksy! HOORAY! 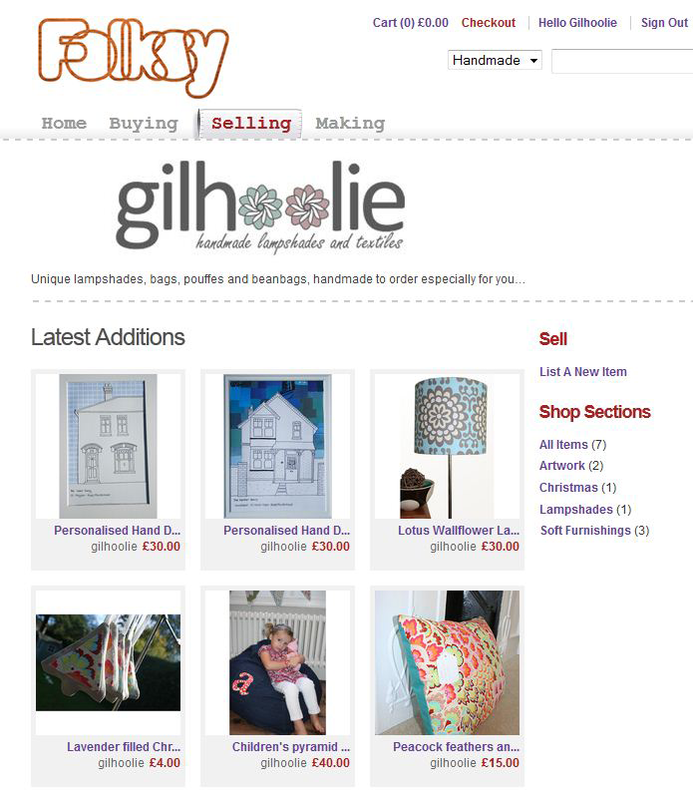 You just need to search for gilhoolie on folksy or click on this link: gilhoolie shop. Here is a screenshot of my shop, please come and have a peek! Then you have my permission to browse all the other lovely things on folksy!! gilhoolie shop on folksy - go and have a look! Thank you Ruth, I’m really chuffed, you’re very kind!